We're happy to report that the volunteers and staff that were injured in the Phantom Regiment bus crash have all been released from the hospital. The corp cancelled their performance in Mesa, AZ due to the accident, but will continue on with their tour schedule from here on out. Some staff and volunteers that were injured have left the tour in order to recover at home, but most are back with Phantom. 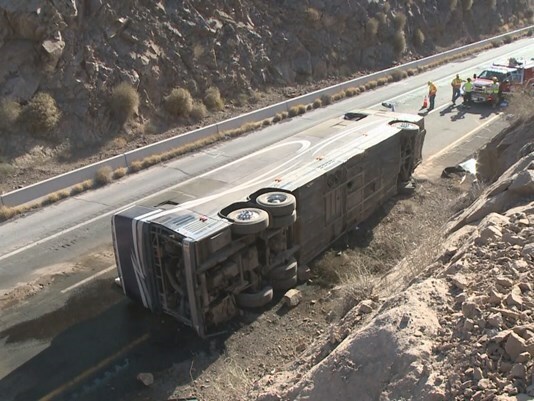 The bus rolled over on the morning of July 2nd near the Arizona-California border. According to Arizona Department of Safety Officials, the bus driver was killed while four passengers were taken to local hospitals. Two were airlifted after suffering severe injuries. The bus was carrying 14 people total. No performers were injured in the accident. The marching band world rallied together to show their love and support especially the fellow DCI corps. The outpouring of love & support from everyone in our activity has been overwhelming. Thank you from the bottom of our ❤️.